Why I Read this Book: Those who truly define their own success and then go on to realize it, are the ones who really inspire me. Shaun is just that type of person. About two weeks ago I had the true pleasure of meeting Shaun Tomson at a dinner party with group of colleagues as well as soon to be high school graduates. He was asked to say a few words to help prepare these kids for what was ahead in their lives. What a treat we all received. Shaun stood up with his calm South African accent, jeans, flip flops and his long hair still slightly wet, no doubt from the break down at Rincon earlier that evening. To be honest, I was not expecting much. To my great surprise and inspiration, Shaun began to tell a story of success like one I’d never heard. Perfectly articulate and impactful as if his profession was an inspirational speaker and his hobby was surfing. As most of us should now know, professional surfing is what indeed lead him to the speaking. In Shaun’s book as well as in person, he tells a brilliant story of success (and a true one at that). A story of going through with your dreams despite the doubt coming from just about every walk of life. A story of deciding that success meant something different to him than it did for just about anyone who had come before him. For him, success meant making a living from what he truly loved, surfing, despite the fact that had never been done in the past. As Shaun realized his dreams, he learned a number of life lessons that, although they were learned on the water, he found they actually transcended all walks of life, and could serve anyone in their quest for success and for being a better person. That is where the Surfer’s Code comes from. Twelve simple, yet life changing principles, that are sure to get you living a richer and more successful life. The simplicity of Shaun’s lessons reminders of me some of Dale Carnegie’s principles from How to Win Friends and Influence People. So simple, yet life-changing when applied. I have such great admiration for someone who, from such an early age, has the courage and wisdom to define success for himself and then to not let a single bump along the way discourage him. It is that refusal to accept anything but success that leads to true greatness. For those of you who have read a number of reviews on this website, you should know that defining one’s success is one of the core premises of ReadingForYourSuccess.com. You will see similar messages from Tony Robbins, Stephen Covey, Tim Ferris as well as many other authors featured on this site. As I read through each of Shaun’s lessons, which included such things as “I will paddle back out” and “There will always be another wave”, I could really relate after having heard his smooth South African accent in person and after knowing his true story. His talk mentioned a few of these codes and after hearing it, the next thing I had to do was read through the book. I had it finished within a day. It is worth noting that the book reads incredibly quickly and the fact that it’s based on the life of a world champion surfer and is riddled with images of he huge waves he’s conquered, certainly helps with the entertainment. 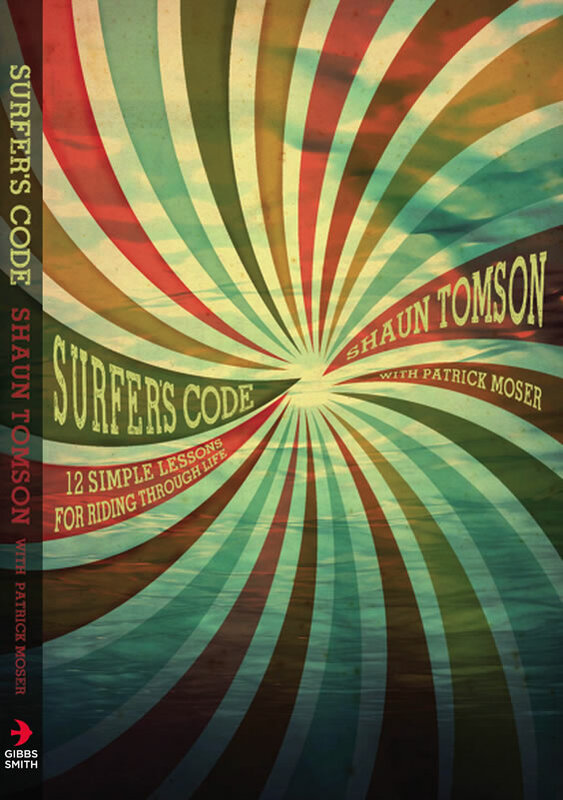 The most powerful part about Surfer’s Code and Shaun is the fact that he wrote it as his way of giving back to the surfing community that had given him so much throughout his life. He is not only giving back to those who have made surfing their passion but to those who plan to make anything their passion. As we all should know by now, you only get out of life and success, what you put in. It would have been so easy for Shaun to go on living his life on the waves, running his businesses and staring in movies. Unfortunately that is what many famous individuals have done. For Shaun that would have been selfish. Instead he has chosen to spread his inspiration and lessons on success to as many people as possible. I saw him do it first hand to that group of high school kids as well as to myself. What an experience. It is so rare to get the chance to meet an author in person. Especially one with such similar thinking to mine. I have had the great pleasure to meet a few authors since I have started ReadingForYourSuccess.com and I do hope to pass Shaun’s path again sometime soon. Who knows, maybe I will finally dust off the board that’s been sitting in my closet for the past couple years. More than anything I hope that what you take from Shaun’s life and Surfer’s Code, is what it truly means to be successful. Shaun is one of the very best examples I’ve seen of this. Great site: picked this article out because it seemed to be the first one. So good to see you have maintained such high quality in writing and have continued to evolve your site. Thank you for dropping the knowledge and the motivation. Excellent choice of quotes. Not sure if I will pick up the book, but post was definitely worth the read.